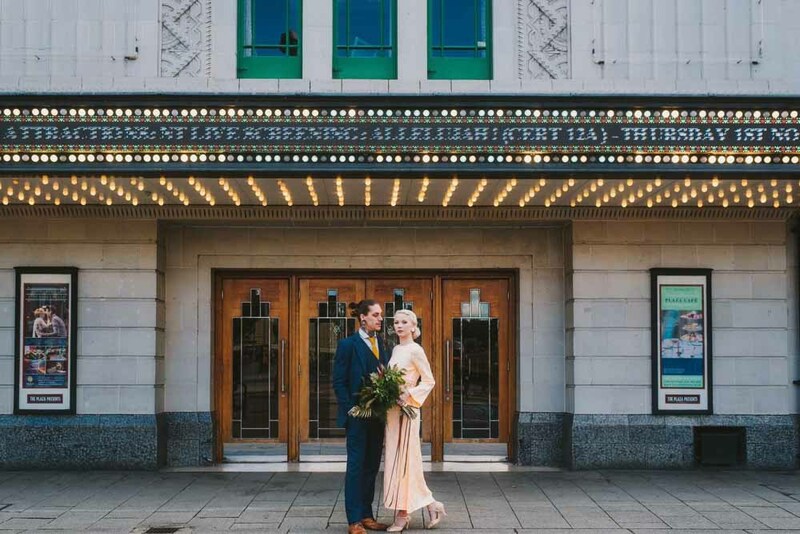 The team were passionate about showcasing the venue’s rich history, entwining theatre with the couple’s love story. 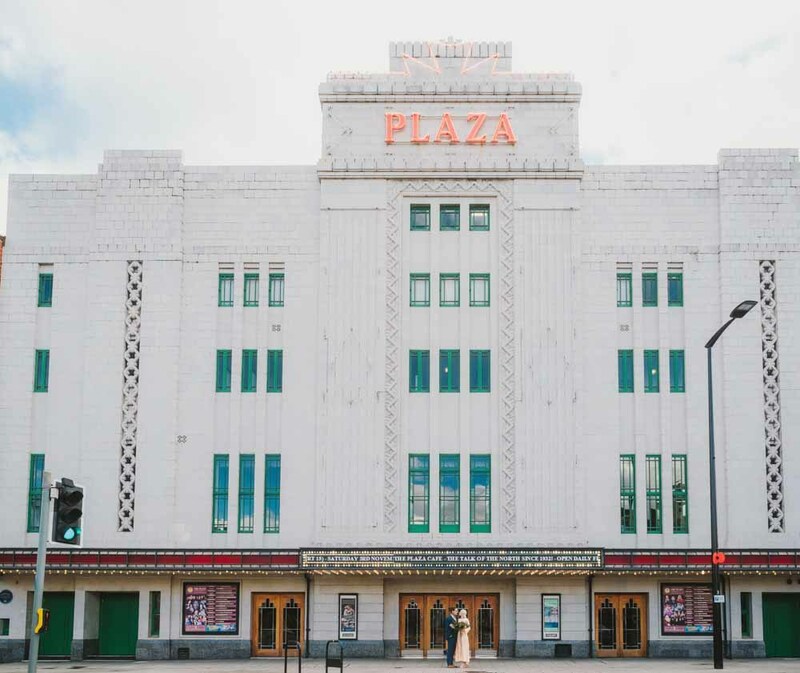 This resulted in a dramatic maximalism look that took full advantage of the glamorous art-deco features of Stockport Plaza. 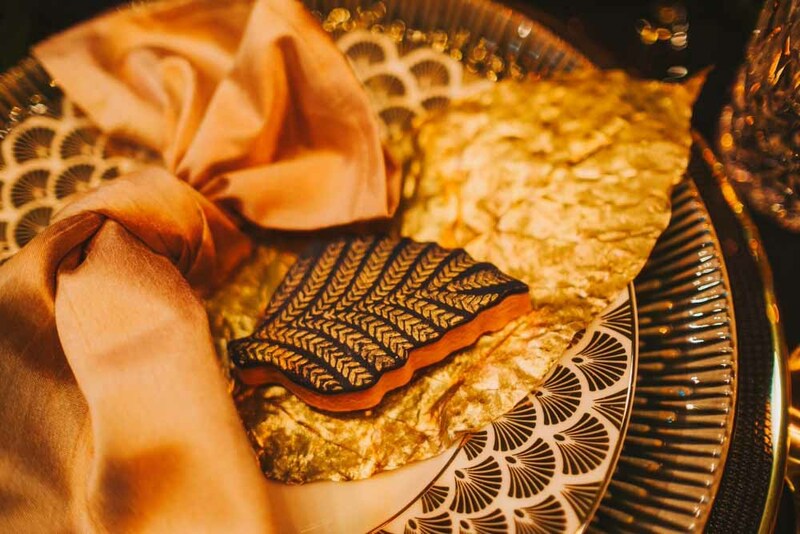 We hand-picked the perfect vendors to deliver decadence in every detail. A show-stopping venue can set the scene and form the right foundations for the dream wedding. Since 1932 the Plaza has hosted countless special occasions. 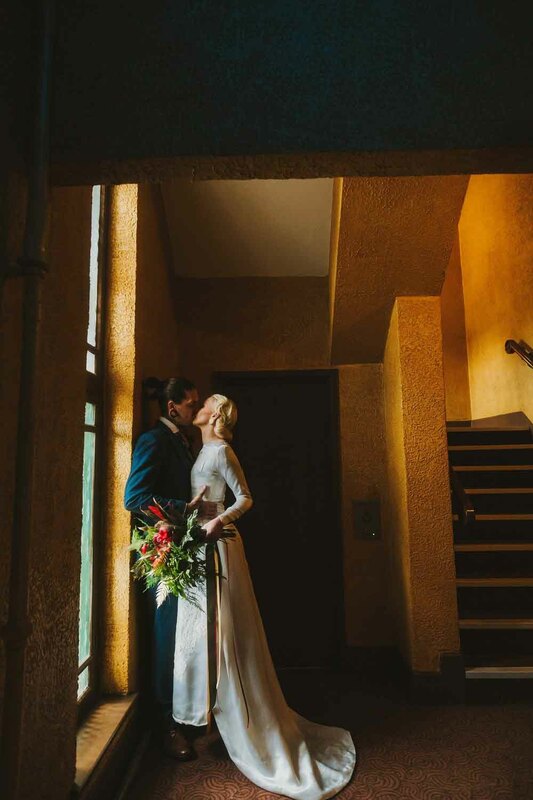 The team celebrated the raw beauty of this Grade II listed venue as it formed the basis of the shoot’s vintage colour palette. We cultivated the chemistry of the bride and groom to create a fun, off-the-scale look, perfect for any alternative couple. We were determined to deliver a lovestruck vision and scoured our Aladdin’s Cave of vintage props and trinkets in ultimate indulgence. 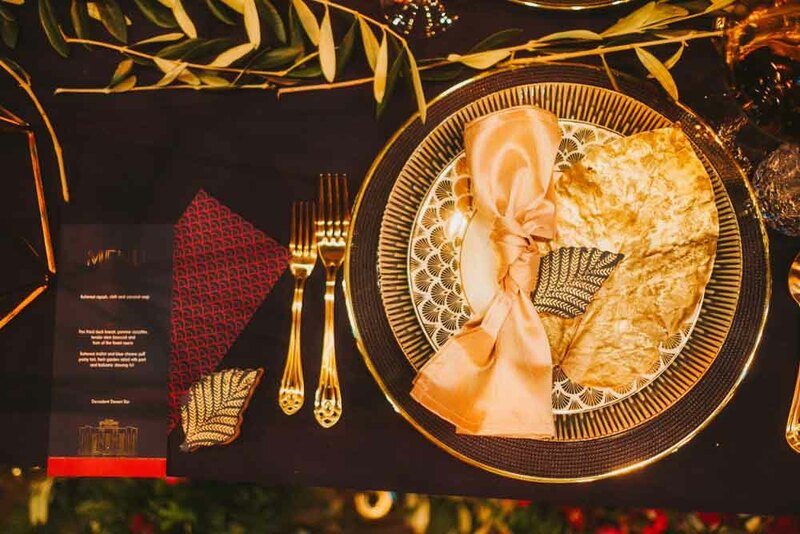 We unified the look in a sumptuous palette of forest green, gold and deep red. The table was set using the finest Whitehouse Crockery, and tableware to achieve an antiqued aesthetic. The drama was heightened thanks to the stunning cakes - made with love - by Pink Cocoa. The details echoed the 1930s surroundings through geometric patterns and jewel shades. 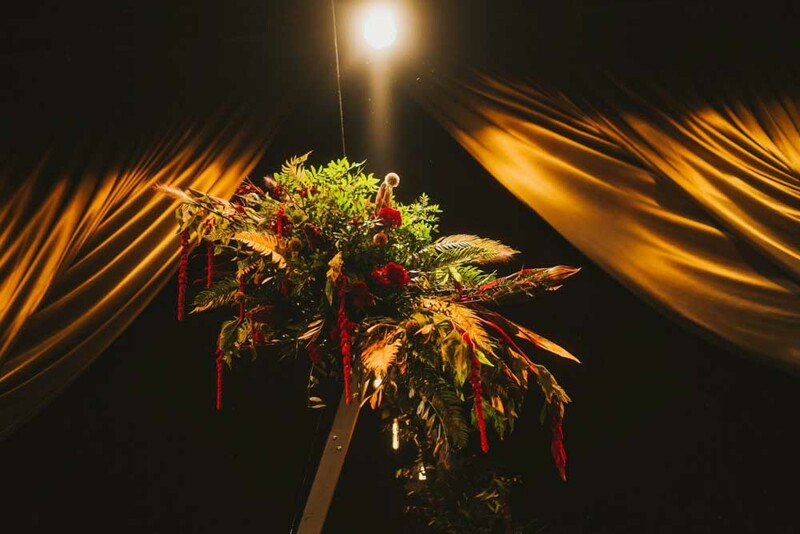 Diddibox provided lush, bountiful floristry displays to create balance against the art-deco shapes and metallic touches. They embraced the carefully considered colour palette through an autumnal selection of blooms. 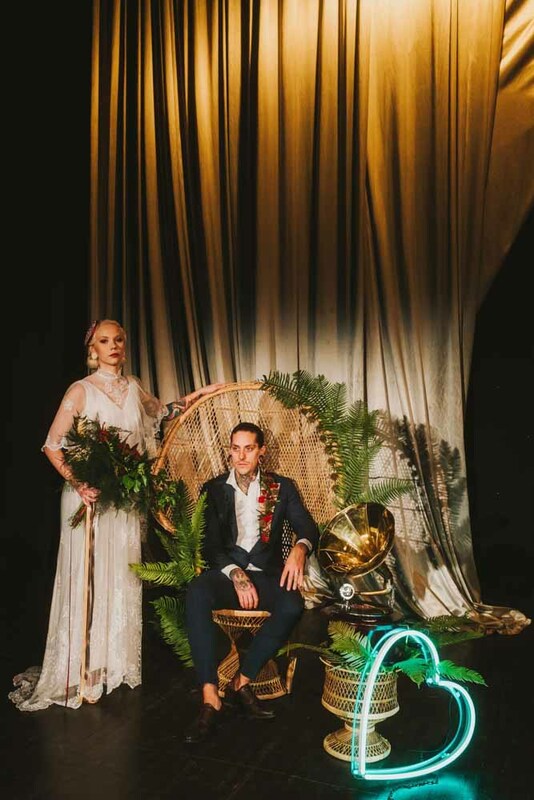 Ali & Bec from Diddibox created theatre through their floristry with a dramatic boutonnière and wild bouquet. 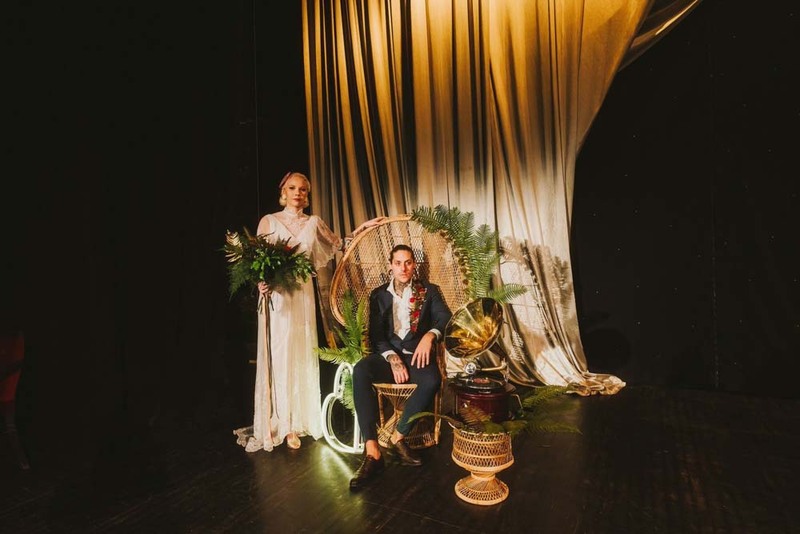 The maximalism style felt effortless on Nina and Zakk; the venue was made for them! 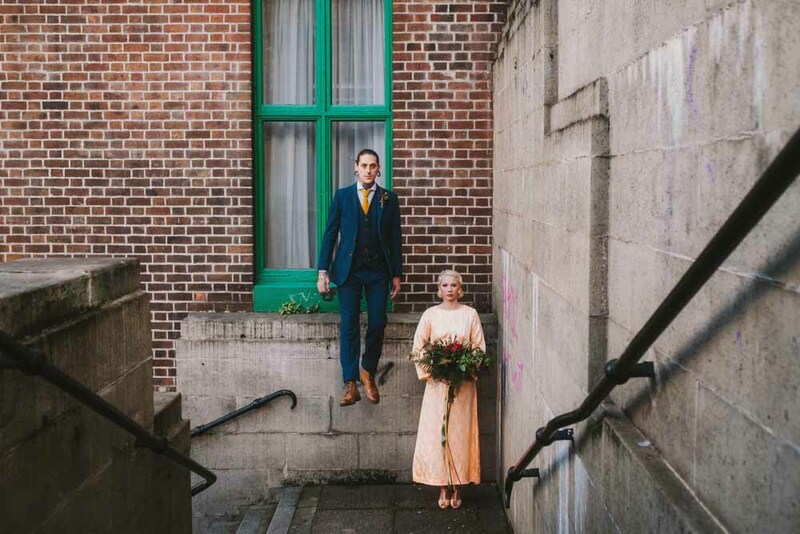 Elsie Vee Vintage, Rachel Simpson, Vintage Suit Hire and Beth C Makeup ensured the couple looked the perfect parts. Elsie Vee Vintage dressed the bride in a number of stunning dresses, all adorned in delicate floral details, in true vintage cuts. Elsie Vee Vintage styled Nina’s hair - in an elegant updo - to complement the looks. She finessed the styles using a stunning jewel hat in bold red and an artdeco headpiece. They were the flawless alternatives to a traditional veil. The iconic British wedding brand, Rachel Simpson Shoes, completed the bride’s outfits. She is synonymous with vintage-inspired shoes which are both affordable and award-winning. This made her the go-to choice for us at Florence & Vera Events. Makeup artist, Beth C Makeup, embraced the bride’s Swedish beauty. Beth loves natural aesthetics that celebrate the bride. 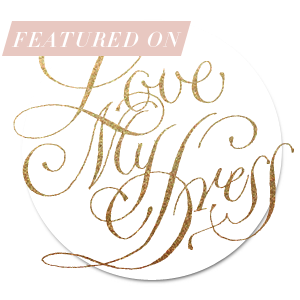 She leverages her years of experience working with brands such as NARS and MissGuided to create photo-ready looks. 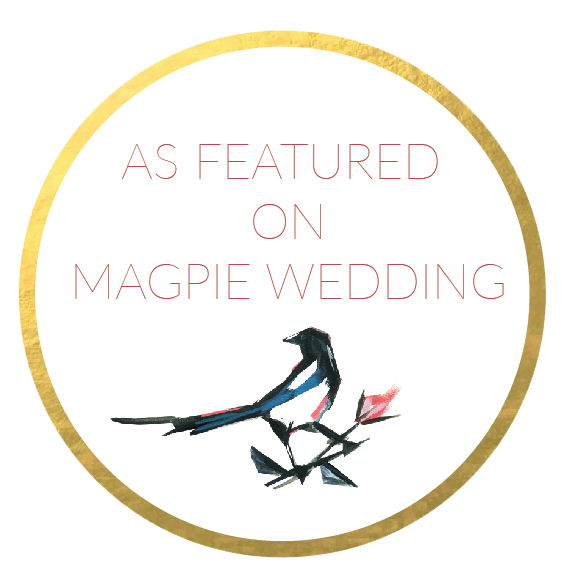 The groom exuded cool sophistication with beautifully tailored suits from Vintage Suit Hire. Their suits show a superior attention to detail through the coloured stitching, buttons and luxurious fabrics. The couple’s outfits coordinated smoothly in a way that felt natural and authentic. The shoot wouldn’t be complete without a sprinkle of magic with thanks to the lighting, backdrops and stationery. It is these finishing touches which can unify a wedding and really add the wowfactor for guests. Frain & Grain indulged in the glamour of the 1930s through stunning gold foiling and art-deco motifs. The menus bring a sense of celebration and fun to proceedings that let guests know you care. 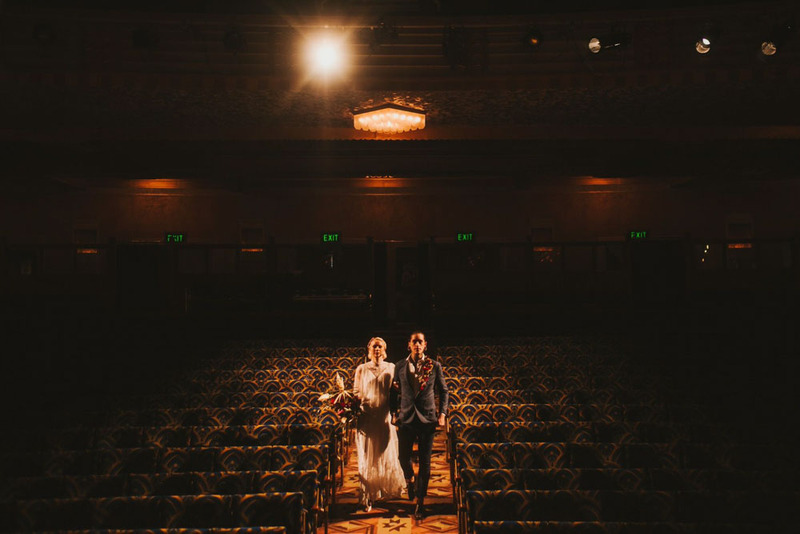 The theatre was lit and set for a day of glamour with the help of Love Lights the Way who provided quirky backdrops and neon light features. This added an incredible atmosphere to the shots and makes exciting photo opportunities for any wedding day or special occasion. The day was shot by Kate McCarthy to 90s R&B which blasted through the venue! The electric energy of the day is clear through the spellbinding photography. Kate was amazing in documenting the couple’s bond. She sees it as her duty to bring couple’s memories to life and see them last a lifetime. All photography in this blog post was shot and provided by Kate.